It has been a really good week for visual novels, with both Chaos;Child and Bad Apple Wars launching in the one week. Indeed, it's been a really good couple of years for the genre, as localisation outfits have come to realise that there is a market for them in the west. It's not the mainstream market, of course. The mainstream struggles to see visual novels as "games" at all. That or all the words confuse them when all they want to do is put bullets into digital skulls. 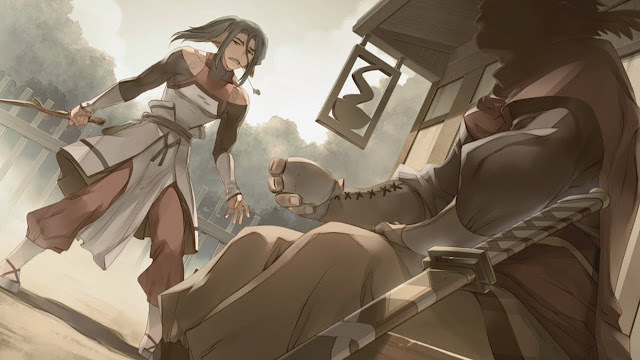 But for the minority that does enjoy visual novels, there is such a variety out there now, and developers are really using the format to challenge and excite; offering all the thematic and philosophical depth of actual novels, but in a different - and interactive - form. So this week in celebration of the visual novel we thought we'd list our favourite ten of all time. Yes, we know there are so many others out there, and so many other great visual novels. You've probably got favourites that aren't on the list, so be sure to let us know your picks in the comments! We're always up for a good discussion about this genre! Utawareumono is such a big game that it's split across two releases on the PlayStation 4 and Vita. Luckily it's so good that it never actually feels overlong to play. Based loosely (but with respect for) Japan's indigenous Ainu culture, it's a game with a distinct tone that's quite unique, and quite beautiful. With the visual novel sections being split up with some turn-based tactics RPG action a-la Fire Emblem, it's also a game that always manages to feel fresh, surprise, delight and engage. Yes, the roots of the game are in adult entertainment, and as such the fanservice in the "legitimate" version that we got on PlayStation 4 can be quite extreme, but that is by no means all that this game offers. 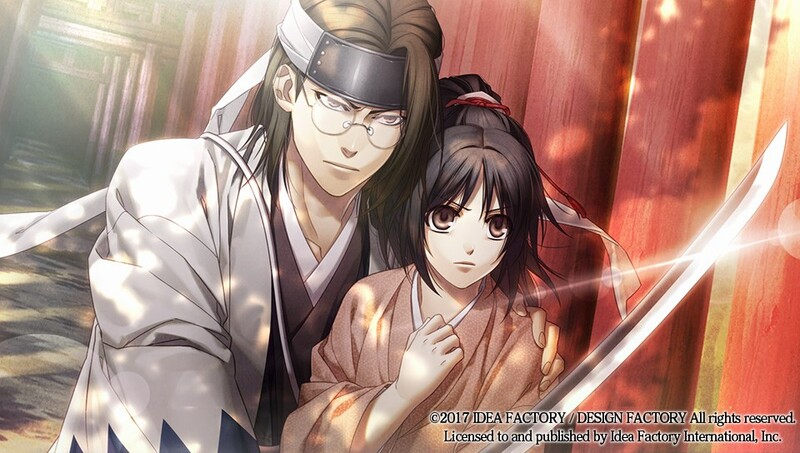 One of the very first otome games to be released outside of Japan, Hakuouki flips the usual visual novel harem (i.e. you're one male surrounded by beautiful women) by putting you in the role of a woman surrounded by beautiful men. Hakuouki's lads are the Shinsengumi, and the game retells one of the most politically charged periods of modern Japan in an eloquent, entertaining, and quite beautiful way. There's a reason the publisher - Idea Factory - keeps finding excuses to re-release this game. It's a genuine classic. 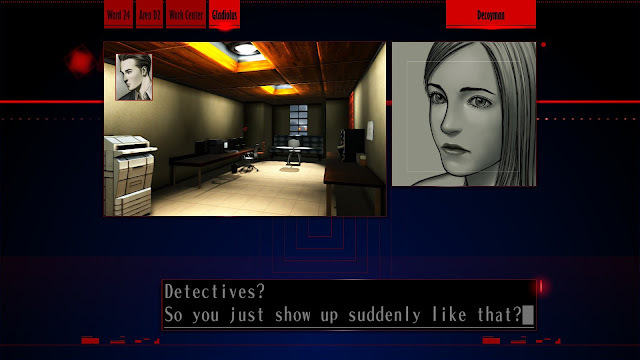 Goichi Suda's first game as an independent developer also happens to be one of the most stylish and intense crime fiction visual novels ever made. It's a game that doesn't hold back on the language or themes, and has the kind of sharp, disjointed pacing that calls to mind the very finest of the crime noir films of Hollywood's heyday. Intense, violent, often darkly funny, and always smart, The Silver Case might not play like any of Suda's subsequent work, but it certainly behaves like a game that only his mind could come up with. There are a lot of visual novels that take Saw as inspiration, but the two best known are Danganronpa and its sequels, and 999 and its sequels. It was a real toss-up between those two games for a spot on this list, but Danganronapa won out in the end for having one of the most entertaining "villains" ever in Monokuma, witty and lovable characters (as opposed to the more dry and academic ideas that drove 999's characterisation), incredible soundtrack, and those courtroom scenes, which might have borrowed some ideas from Phoenix Wright, but are ultimately a beast entirely into their own. 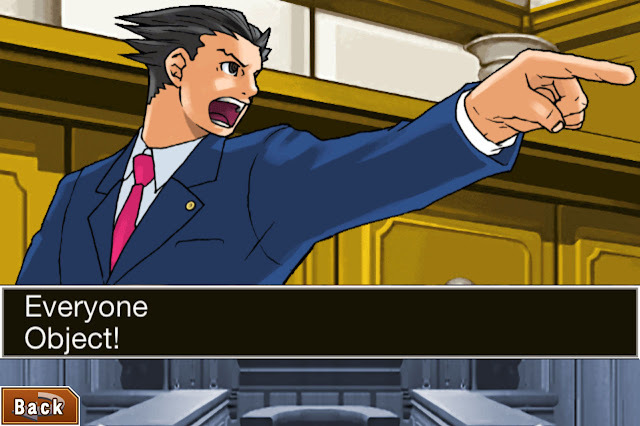 Phoenix Wright has been a mainstay of the visual novel genre for quite some time, and indeed, the court scene "gamey" elements are substantial enough that for many people this series is a gateway drug to full-blown VNs. Why have we picked Justice For All? No real reason, to be completely honest. Most of the games in this series are top notch, and the "best" among them completely boils down to the individual circumstances. So we picked this one to represent the whole series, really. It's difficult to tackle the topic of time travel in a way that doesn't become silly and childish almost immediately. Steins;Gate, however, manages to achieve just that. It has its share of nonsense moments, but those are there simply to enhance what is, in fact, a very intelligent and insightful narrative. 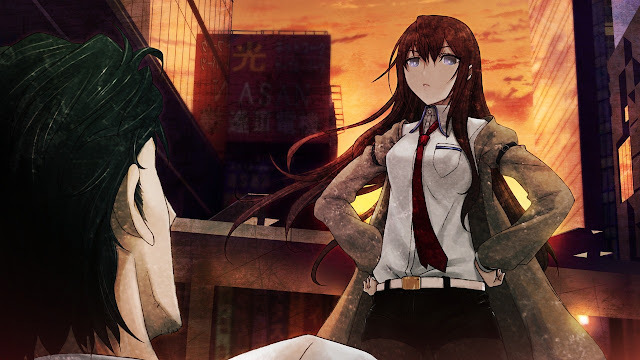 Backed by memorable characters and a truly stunning art style, and it's easy to see why Steins;Gate would make the "top ten visual novel" list for almost any fan of the genre. Famous (or perhaps infamous) as one of the few games that Steam has allowed on to its platform with high-impact sexual themes and visuals, Ladykiller in a Bind "got away" with it because that content was absolutely necessary for the narrative, which is a remarkable deconstruction on the nature of relationships, fetishes and sexuality. 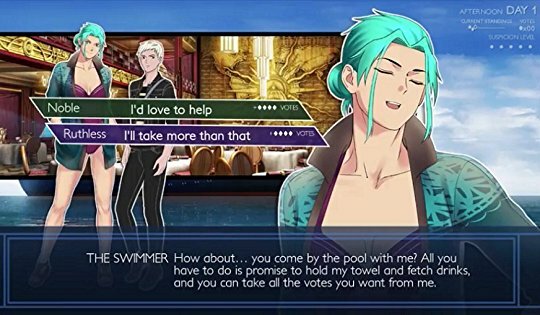 For games to be taken seriously as works of art, we need more like Ladykiller in a Bind, willing to tackle serious and often quite controversial topics. One of the most famous and enduring visual novels of all. People have watched the anime, played endless spin-off games, and watched as the developers moved from scrappy hobbiests to being in control of one of the most valuable IPs in Japan's games industry. 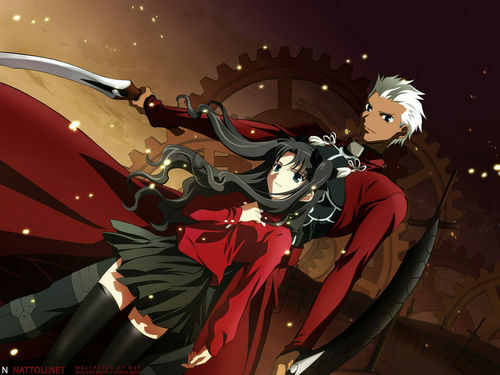 What a lot of people don't realise is that the original Fate/Stay Night, the one that really got things going and is arguably the best in the whole series, was in fact a very adult visual novel that never got localised. Yes, Rin got it all off. But if you ever needed proof that an adult visual novel can also have real merit as a narrative, this game is it. You look at the screenshots of Corpse Party, and you wonder how anyone could ever find the game to be horrific. It's cute little RPG Maker sprites wandering around, after all. And yet Corpse Party is absolutely chilling, and that's because of its incredible writing. The developers of this game have a way of writing the most explicitly slick scenes of extreme violence and terror that, like a Marquis De Sade novel, it's actually hard to put down for how terribly beautiful it all is. 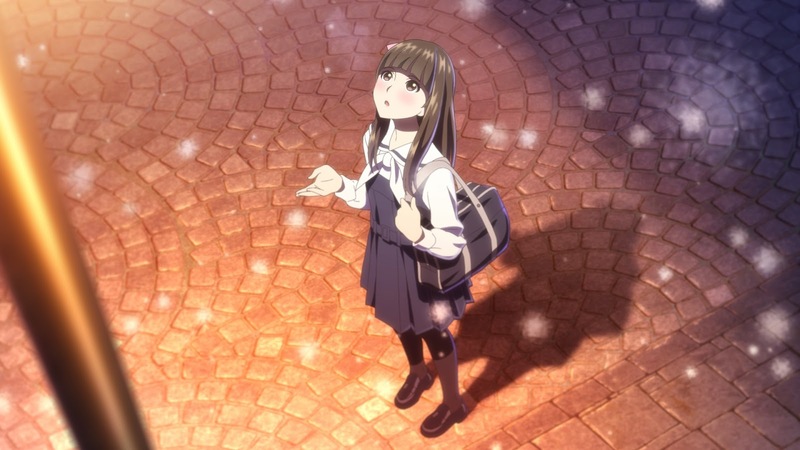 It's rare that a game captures the deep nostalgia that the Japanese have for their culture's traditions and heritage quite as perfectly as Root Letter manages to. It's a beautiful, beautiful, beautiful game, and though the writing doesn't always match the tone of the art, the music and real-world setting help to give the game an authenticity that makes it particularly hard to put down. Especially if you've already been to the locations in the game. It really is like that.